yep. Ilomilo has been released today, for Windows 7 Phones. Plus, it’s free! i’ve been following this game for the longest time, ever since i first saw their debut trailer! Developed at Southend Interactive, and published (i think!) 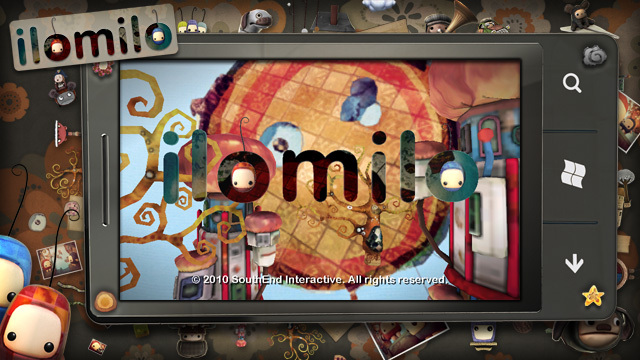 by Microsoft Game Studios, “Ilomilo” is a unique puzzle platformer type of game, with an equally unique art style! really wishing now i had a windows phone.. lol. those of you that have a w7phone, this is one title well worth checking out! gorgeous art direction, game mechanics, and really light hearted music to accompany it..all love! an XBox Live Arcade release is on the way as well! This entry was posted on Monday, November 8th, 2010 at 3:48 pm and is filed under Gaming, News. You can follow any responses to this entry through the RSS 2.0 feed. You can leave a response, or trackback from your own site.